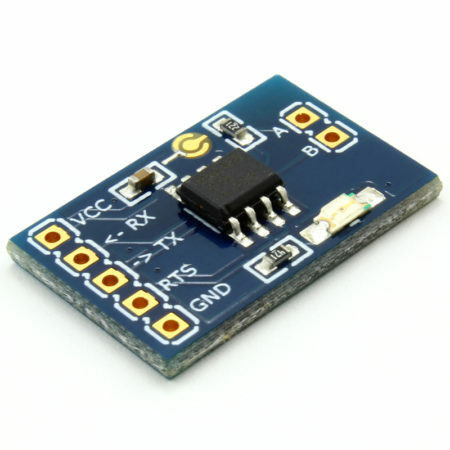 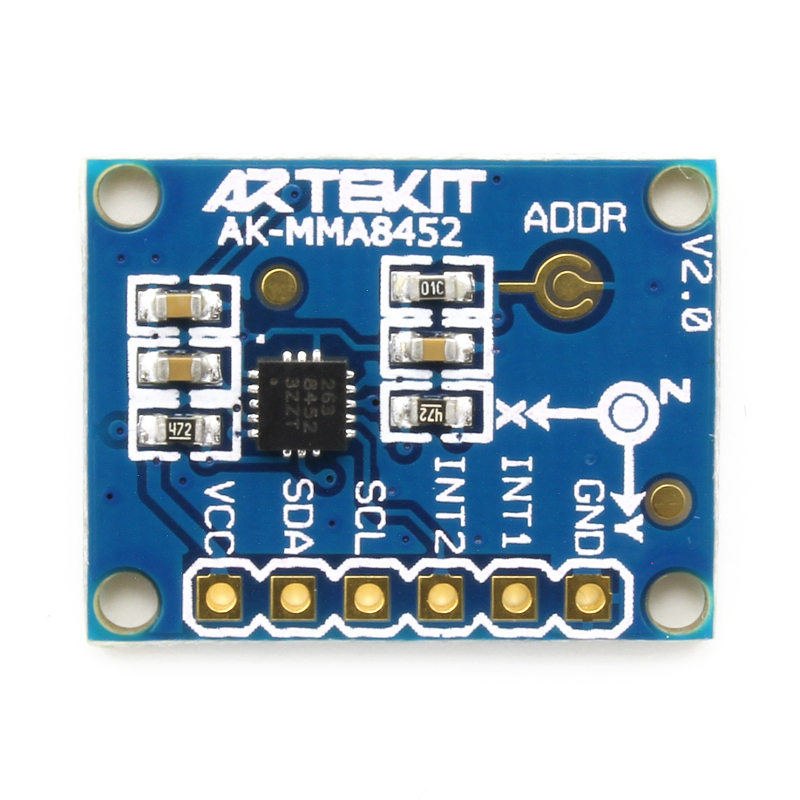 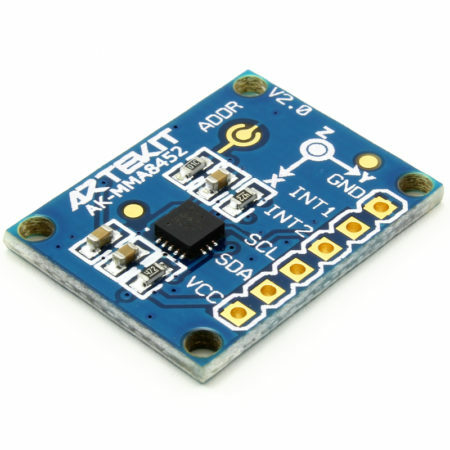 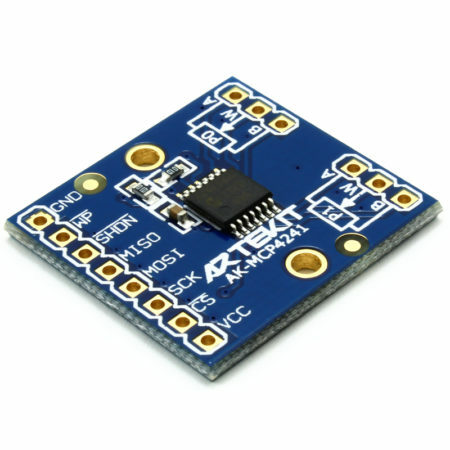 Breakout board for the Freescale MMA8452 3-Axis Accelerometer, version 2. 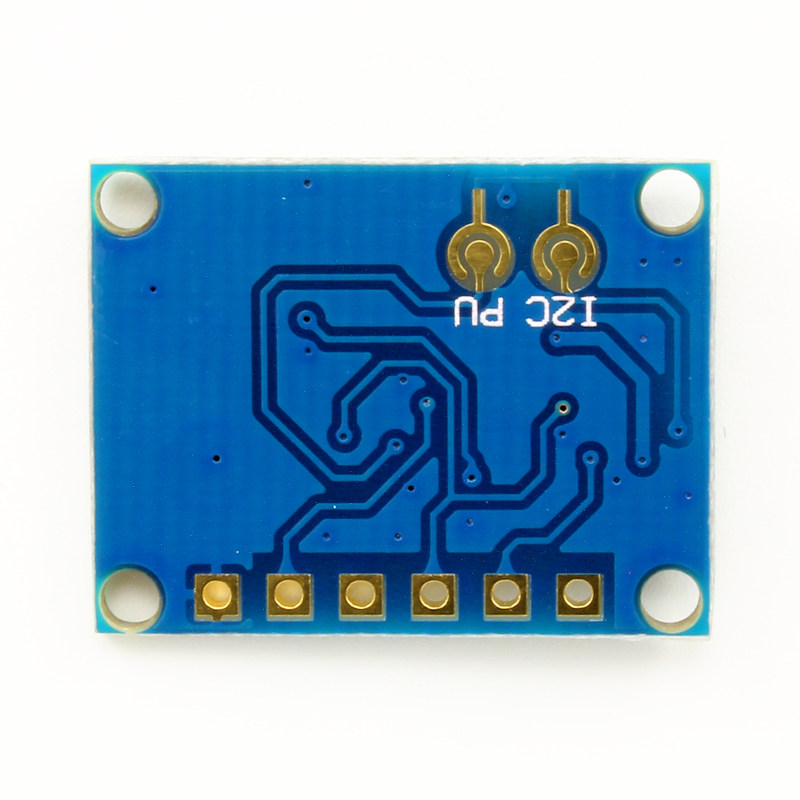 This is the version 2 of the board. 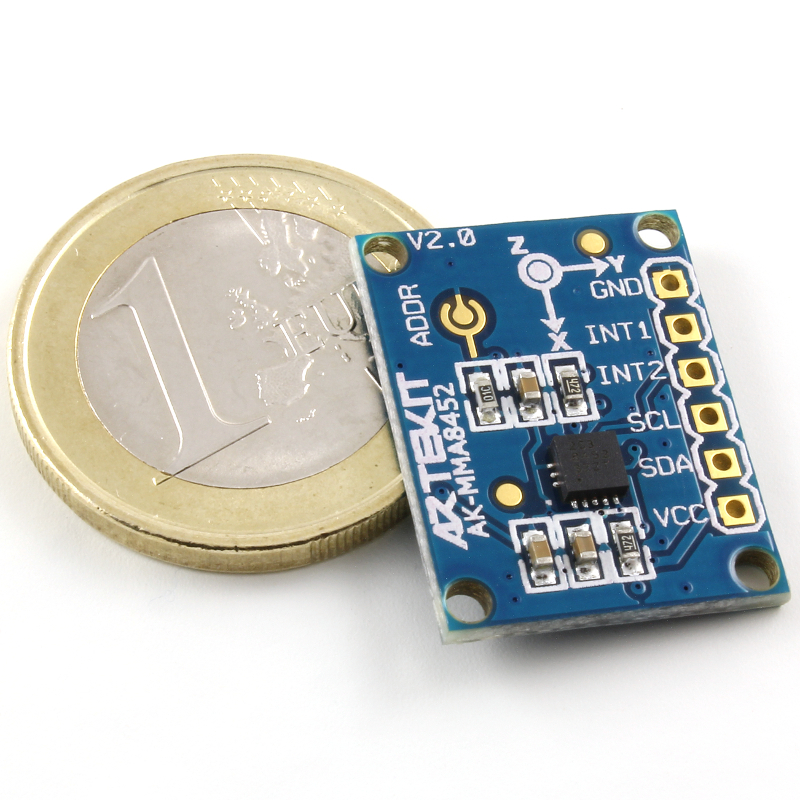 It has 2 more mounting holes, improved silk mask and solder options for the I2C pull-ups and for the address pin. 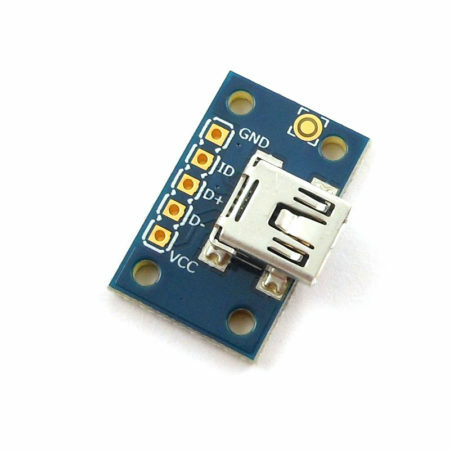 This new board is 100% pin-compatible with the previous version. 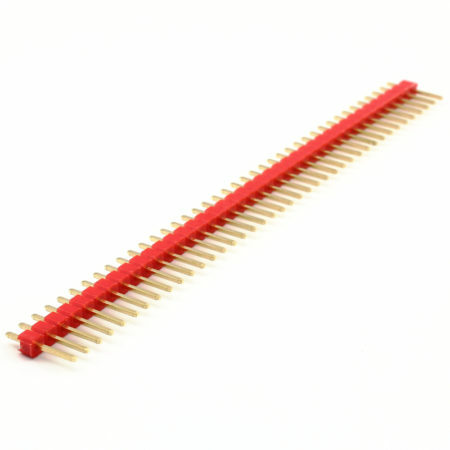 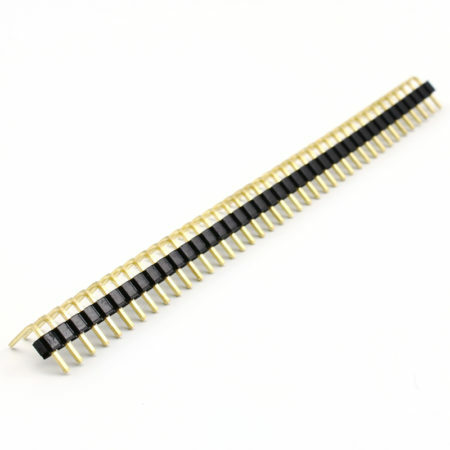 Breadboard friendly, with standard 0.1″ spacing headers. 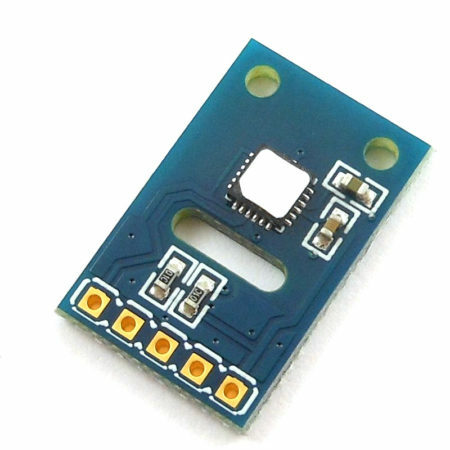 Four mounting holes allows you to fix the board with ease.